Cleaning Oriental rugs isn’t an easy job. Anyone who with tell you it is doesn’t know what they’re talking about! That’s why residents and businesses with Oriental rugs in Stuart, Florida choose Palm Beach Oriental Rug Cleaning Pros most often. We know exactly what an undertaking it is to clean those expensive rugs, and we’re up to the challenge! Oriental rugs are handmade and can take months, even years, to finish. For this reason, each one is unique. They are shipped from the Orient, which elevates the cost of these fine pieces even more. Sometimes, as many as a dozen people work on one rug to make the knots that give them their unique look. Anywhere from 16 to 550 knots can be in a single inch, making the process tedious, time consuming, and worth paying for. 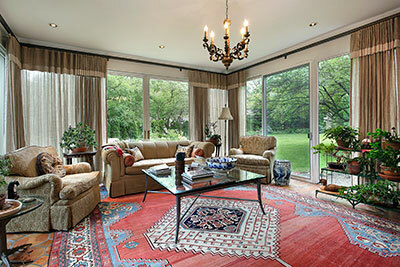 Many of the Oriental rugs we see are family heirlooms that have been passed down one or more generations. These are treasures to their owners, not only because of their beauty and their worth, but because they represent heritage and loved ones. We understand and respect this fact, yet another reason we are Stuart’s best choice for Oriental rug cleaning. 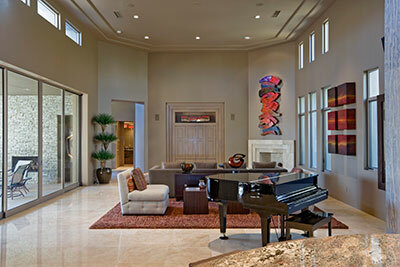 Palm Beach Oriental Rug Cleaning Pros don’t recommend that you tackle the job of cleaning your rugs yourself. There are just too many things that can go wrong. However, vacuuming your Oriental rug frequently will keep it looking great. Regular vacuuming is also important because it keeps dirt and other particles out of the carpet’s deep fibers. Stuart, FL clients are often skeptical when we tell them that vacuuming is the most effective way to keep their Oriental rugs looking great between our visits, but it’s true! In the event of a spill or other stain, it’s also ok for you to spot clean the rug with water or club soda. First, blot the area with a clean towel to soak up all as much of the spill as possible. Don’t scrub or press down very hard. Distilled water is best for cleaning up a spill, since it won’t leave a tell-tale ring where the stain once was. If it is a particularly stubborn stain, the club soda will loosen it, and then you should rinse it with a little water and blot again. Palm Beach Oriental Rug Cleaning Pros didn’t become Stuart, Florida’s favorite Oriental rug cleaning company overnight. We’ve spent long, hard hours cleaning rugs by hand in our state-of-the-art facilities to make sure that our customers are satisfied with the results and with our customer service. Did you know that Oriental rugs are made from natural fibers? If you were thinking of renting a carpet shampooer and buying some carpet cleaner at the store, consider for a moment that most of the items you can rent or purchase at local retailers are designed for synthetic carpeting, not for the delicate fibers in your handmade Oriental rug. We’re not saying that you wouldn’t do a great job yourself, but the simple fact is that most individuals don’t have the knowledge and products to clean Oriental rugs the right way. Most consumers don’t even have access to the same cleaners that we have. Despite your best efforts, you couldn’t be as thorough as we can be. So save yourself the time and energy. Call US today! Let’s face it: if you have an Oriental rug, you want to display it proudly. A rug that is dirty or dingy is embarrassing, yet it can be tough knowing just whom to trust your expensive rug to. You need a professional company that can provide you will all of the information you need to make this decision and provide examples of previous work if necessary. 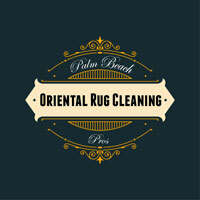 That’s Palm Beach Oriental Rug Cleaning Pros in Stuart, Florida! Depending on the foot traffic on your rug, the presence of pets or children or allergy sufferers in the home, the frequency that your Oriental rug will need to be cleaned can vary. Pick up just a corner of the rug and kick the underside of it swiftly. If you see dust and dirt particles, the rug needs cleaning, but realize that it’s normal to see a few fibers floating around. Rub a short rainbow pattern on the rug with your hand for a few seconds. If your hand is dirty, this is also a sign that it’s time to have the rug cleaned. We know that your rugs, like all the other upholstery and carpeting in your home or business, should be 100% clean to keep away allergens and dust. 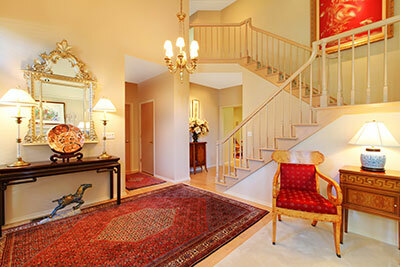 If you need Oriental or Persian rug cleaning in Stuart, FL give Palm Beach Oriental Rug Cleaning Pros a call today! But we ALSO know that keeping them that way will require a little research on our part. We like to know where the rug came from and what it’s made of so we know how to clean it properly. Don’t be surprised if we ask a lot of questions when we come out to evaluate the rug. We’ll also look at it closely and read all the tags and any other literature that came with it – if you have access to that – in order to decide which products are the right ones for your rug. We’ll invest the time to discover all the facts we can about your Oriental rug, and we’ll never simply guess and hope we get it right. That’s what sets us apart from other rug cleaning companies.